* A randomized clinical study of 140 healthy overweight people compared the use of Slimvance® in conjunction with an 1800 calorie diet and walking plan to a placebo with the same diet and walking plan. Those on Slimvance® lost almost 10 more pounds (-11.81 pounds vs. -1.91 pounds), lost over an inch more around the hips (–1.76 inches vs. –0.48 inches) and over an inch more around the waist (-2.12 inches vs. -0.68 inches) than the placebo group after 16 weeks. Use in conjunction with the Slimvance® diet and exercise program. Does everything you eat become part of your muffin top, love handles or spare tire? You’re not alone. Whether it’s due to aging, being less active or poor food choices—most people consider these problem areas. That’s why you’ve got to try Slimvance®. It targets the midsection to help you lose 3X more inches from your waist and hips,* for a leaner, healthier body. 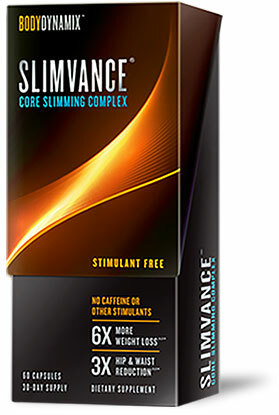 Scientifically tested for effective weight loss, Slimvance® is stimulant-free and that’s important because so many weight loss products include caffeine. Slimvance® is the natural way to get slim and healthy—while still enjoying your favorite foods. A recent study proved you can get transformational weight loss by using Slimvance® with moderate exercise and an 1800-calorie diet. * Talk about a better way to get healthy. Note: This information is based on competitor packaging and advertising as of November, 2017. When mouse cells were given Slimvance®, scientists saw three big reasons to believe in the blend’s effectiveness. First, Slimvance® helped the cells metabolize fat. Second, it reduced fat accumulation. And third, Slimvance® had increased markers associated with fat breakdown in the cells, while disrupting the development of fat cells. The human study did not reveal the mechanism of action of Slimvance®. Thousands of years ago when early people ate Moringa leaves, they experienced health benefits that many still believe in. Now, we know that Moringa includes healthy fiber, along with vitamins B1, B2 and B3. With high levels of antioxidants such as Vitamin C, beta-carotene, quercetin and chlorogenic acid, Moringa also fights oxidative stress and supports overall health. Historically, Turmeric has been used as a digestive aid, and is thought to impact bile production. Bile helps break down fats into fatty acids that can be absorbed by the body. Turmeric also has antioxidant properties, which help protect cells. For centuries, Curry Leaves have been considered a vital part of daily nutrition. We also now know other parts of the curry tree are high in calcium, proteins, iron, carbohydrates and vitamin C, which explains why it’s been used in so many ways. Slimvance® includes no stimulants like caffeine. Turmeric, Moringa, and Curry Leaves are its main ingredients. 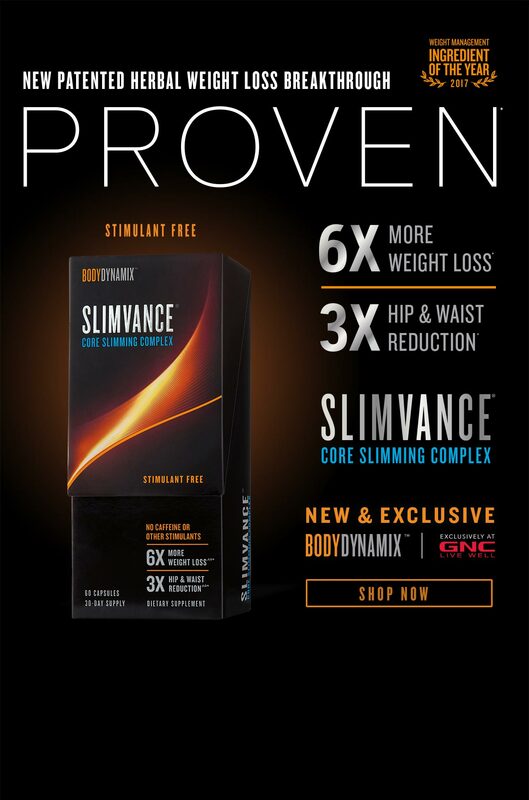 With Slimvance®, how much weight can you lose? Will I see quick results with Slimvance®? Can you target fat at your waist and hips by taking Slimvance®? How does Slimvance® help you shed pounds? Is it easy to lose weight with Slimvance®? What do Slimvance®’s active ingredients include? Turmeric, Moringa and Curry Leaves are the active ingredients. Do I have to give up the foods I love to lose weight with Slimvance®? Not at all. However, you may not be able to eat as much of them, since you need to follow the Slimvance® diet and exercise plan to experience weight loss. Other weight loss solutions have potential side affects? What about Slimvance®? Food allergies to Turmeric, Moringa, and Curry Leaves are rare. If you think that you may be having a reaction, stop using Slimvance®, consult your doctor, and call the phone number on the package to report the reaction to us. Does Slimvance® feature all natural active ingredients? In Slimvance® the active ingredients are non-GMO, natural herbs raised through sustainable farming. Does Slimvance® offer benefits to people who want to lose weight? Slimvance® has no stimulants like caffeine, so you can lose weight naturally, without experiencing jitters, restless sleep or other related issues. ~ Results reflect findings of a clinical study where participants took Slimvance and followed the Slimvance 1800 calorie diet and exercise plan. Individual results may vary. GNC is dedicated to supporting your weight loss journey. That’s why we’ve developed an array of programs that fit your specific goals. Take a look at our other offerings.